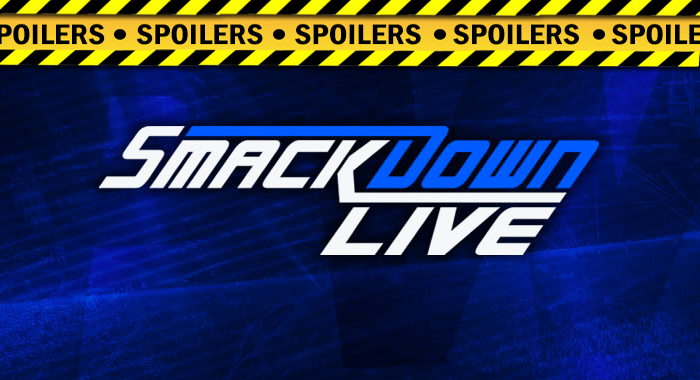 The following report contains MAJOR SPOILERS for the upcoming January 1 edition of WWE SmackDown Live, which was pre-taped on December 29 at the PPG Paints Arena in Pittsburgh, PA due to this coming week’s show falling on New Year’s Day. — The New Day opened the show with a New Year’s celebration and announced that all three of them would be competing in the 2018 Royal Rumble match. — Rusev and Lana came out for a massive Rusev Day celebration to commemorate his WWE U.S. Championship win last week, but he was attacked by Shinsuke Nakamura. — After the match, Mandy Rose told Naomi that she had been sending Jimmy Uso explicit photos of herself, playing off last week’s show where she tried to kiss him under the mistletoe backstage on Christmas. — John Cena made his return to WWE television but was quickly cut off by Becky Lynch. Becky said that while John was gone, she became The Man on Smackdown Live, and if he had a problem with that, Nikki Bella won’t be the only woman to “drop” him in 2018. Damn. — The Miz and Shane McMahon have a segment backstage where they talk about what they should wear as a unified tag team. Miz wants Shane to dress up like him, which doesn’t go over well. — Becky Lynch, Charlotte Flair, Carmella and potentially a few others made their case for why they should get the next Smackdown Women’s Championship opportunity. Triple H said he will take it under advisement and let everyone know his decision soon. — AJ Styles def. Rey Mysterio, Randy Orton, Samoa Joe and Mustafa Ali in a Fatal 5-Way match to become the #1 contender to the WWE Championship, and will be facing Daniel Bryan at the Royal Rumble.